Marcus Rashford is catching up with Paris Saint-Germain star Kylian Mbappe in the best young striker in Europe stakes. 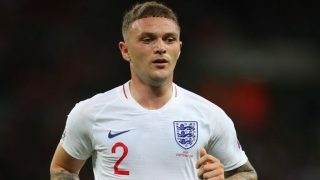 That is according to Don Hutchinson, a former Premier League midfielder, who thinks that the England international’s current form backs that claim. 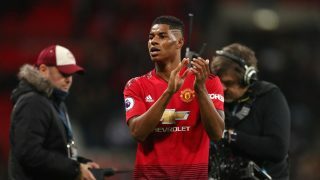 Rashford has improved under caretaker manager Ole Gunnar Solskjaer after taking to the Norwegian’s management like a fish to water. This is partly down to the difference in man management and playing styles, as things continued to worsen under José Mourinho before he was sacked in December. Rather than playing second fiddle or being shoehorned into wider positions, Solskjaer has played Rashford in his preferred role, as a centre-forward, and it didn’t take long for us to see the benefits. Mbappe, on the other hand, is one of the best out there and we’re happy to see Rashford compared with the World Cup winner. Who knows what way the two young attackers will develop in the coming years? The sky is the limit with their potential. Aged 20 with a World Cup winners medal to his name, Mbappe continues to develop into a superstar as he tears Ligue 1 apart most weeks. He has scored 18 goals in 16 Ligue 1 games, as per WhoScored, which is just remarkable for a player his age. Rashford, who has made 22 appearances in the Premier League so far this season, has scored 9 goals while creating 6 assists. He is bound to hit double figures before the end of the season, but the next manager will need to work on Rashford’s game to ensure he can become a 20+ goal per season striker. 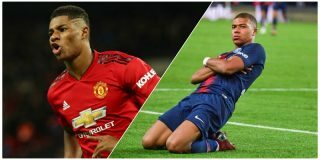 Hutchinson claims Mbappe could become the greatest of all-time but says Rashford has been catching up since showing better form. “I think if you look at hot young strikers around Europe, Kylian Mbappe is on another level to most and is going to fo on and be one of the greatest of all-time, probably, if he carries on,” Hutchinson said on Premier League Today, as quoted by the Daily Star. “The way Marcus Rashford is playing at the minute, he’s not far behind. “His form is so good, he looks electric, he’s got confidence. “He’s got a swagger, his first touch is good, he looks ruthless all of a sudden in front of goal. “I heard Michael Owen say a couple of weeks ago he wasn’t sure, and none of us were, when we were looking at individuals involved in the Premier League where Harry Kane’s ruthless, you know he’s going to shoot from any angle, Aguero’s the same. “And he never really thought, and I agreed with Michael, that Marcus Rashford had that streak to want to bury teams and want to get 25, and want to be hungry and be selfish. 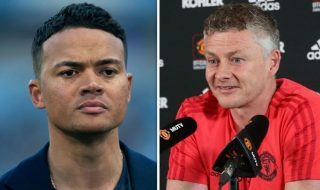 “You’re looking at a player now, since Solskjaer came through the door, who is totally different. Though Hutchinson may have a point, Rashford must show this level of form throughout an entire season if he wants to be Manchester United’s long-term centre-forward, as he continues to keep Romelu Lukaku out of the team. Rashford and Mbappe will face off next week in the Champions League when Manchester United take on PSG in the last 16.